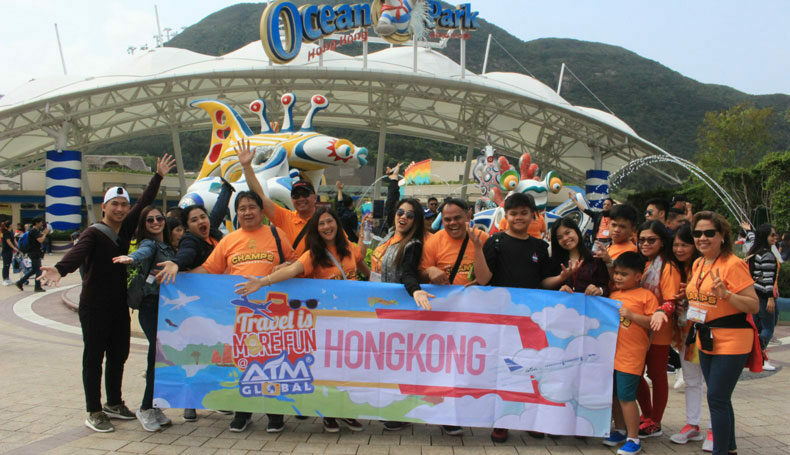 Alliance In Motion Global, Inc. (AIM Global) continues to push boundaries through its travel-incentive program, AIM Travels. AIM Global believes that it is important to recognize and reward the people behind company’s success, who are also diligently working to better their lives everyday. After all, refreshing vacations can do wonders to a hardworking leader. As a company who’s keen on giving rewards, AIM Global’s travel promos have reached gigantic proportions with Dr. Cabantog’s grand vision of sending distributors to different dream destinations. Dr. Ed Cabantog first announced its plans of sending hundreds of deserving distributors to all-expense paid trips at AIM Global’s Mid-Year Rally last November 2018 at the Mall of Asia Arena. Dr. Cabantog shared the new delightful destinations AIM Travels have in store for everyone and he also declared that the exciting travel incentives program will be implemented by the start of January 2019. Executing this grand vision was not a small feat. The company made sure that the all-expense-paid trip of the distributors won’t experience any hitch. They were checked-in into hotels with the best amenities, a feast for king for their every meals, and of course, thrilling activities for the whole duration of their vacations. These trips were also an avenue for them to share their life stories, experiences in the direct-sales industry and knowledge about building the business to their fellow distributors. Aside from being a real vacation for them, qualifying for the travel incentive program also represents as a significant milestone for distributors as it would encourage and inspire their downlines to emulate and make them strive harder to achieve this. Prior to these trips, thousands have already flown to different world-class tourist destinations through the help of AIM Travels and those who have qualified this year are most-likely inspired by those who qualified in those previous trips. For the first batch of the tours planned to happen on the first quarter of the year, the first batch of qualifiers flew to Coron, Palawan. Coron is an island best-known for being one of the top diving spots in the world and it is also listed at the UNESCO World Heritage Tentative List. The 104 distributors enjoyed a day of snorkeling and deep sea diving to see the beautiful coral reefs at the Siete Picadoes and Isla de Coral and dozens of haunting sunken Japanese warships at the Skeleton Wreck. An overseas vacation trip is a major accomplishment for a networker. That is why the two trips to Hong Kong, January 22-25 and March 26-29, 2019, were nothing but momentous to the distributors who qualified. 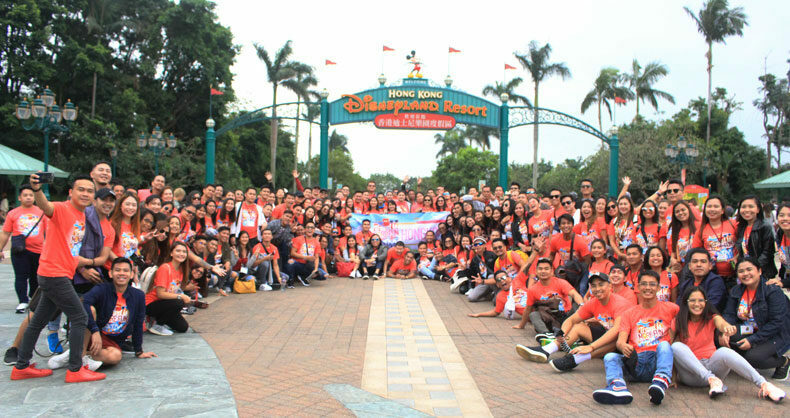 Through these trips, some of them experienced a lot of ‘firsts’ in their lives; first time to ride an airplane, first time to have an out-of-the-country trip and first time to go to Disneyland and Ocean Park. Following these trips, three batches of qualifiers have been scheduled to travel to Boracay. The first two batches flew there on February 18-20 and on February 27-March 1, 2019. Boracay is a small island in the central Philippines known for its resorts and beaches. The island’s popularity never wavered for decades now and is one of the top beaches and travel destinations all over the world. Countless individuals, including AIM Global’s 132 qualifiers on the first batch and the 142 qualifiers on the second batch this year, dream of going there to experience its world-famous turquoise waters and fine, white sand. The third batch of qualifiers for the Boracay trip, composed of 110 qualifiers, have already flown to the paradise on April 10-12, 2019 and enjoyed their luxurious vacation filled with fun activities. For the second trip to Palawan, the other 100 qualifiers were brought to Puerto Princesa on March 17-19, 2019, where they experienced a breath-taking island-hopping tour, going from the main island to Pandan Island, Snake Island, Starfish Island, Cowrie Island and a lot more. Seeing these hardworking individuals build each other up and exchange new experiences every time they huddle after a day of fun, the beautiful rapport between the qualifiers and the over-all love for the community is ultimately the greatest pay-off to the company. And they have just started, and we won’t be seeing the end of this amazing incentive travel program anytime soon. Because being true to its commitment of rewarding hardworking distributors, the company will be unveiling more incentive travels such as anticipated trips to South Korea, Japan, Dubai and Beijing, China in the coming months. AIM Global has 130 business center offices in the Philippines and has global offices in 19 countries namely Hong Kong, Singapore, Taiwan, Brunei, Papua New Guinea, UAE, Kuwait, Pakistan, Nigeria, Ghana, Kenya, Uganda, Togo, Ivory Coast, Cameroon, Tanzania and Rwanda.